Copy the registration key information you have received from our support to clipboard. On the program’s Help menu, select Enter Registration Key. 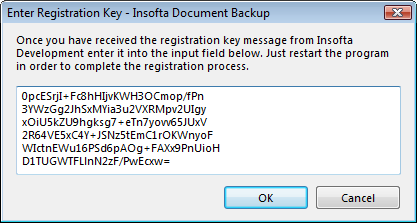 In the window that appears, paste the registration information from clipboard and then click OK to complete. When you restart the program, all the demo-version’s restrictions will be removed, and your name will appear in the program’s About window.